Manitowoc, WI - Dramm introduces a brand new Sprinkler to the ColorStorm Sprinkler family, the new ColorStorm Spinning Sprinkler has a beautiful spray pattern, works well with low water pressure and is available in Dramms 6 bright colors. Available at your local independent garden center as well as many online sources including amazon.com. The new ColorStorm Spinning Sprinkler creates a very unique and beautiful spray pattern covering an area up to 38 feet in diameter. 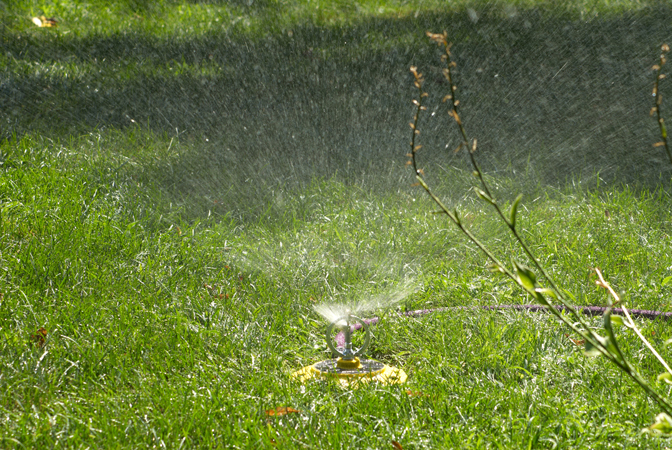 The Spinning Sprinkler head atomizes water into fine droplets for less water usage and thorough watering. The ColorStorm Spinning Sprinkler has the ability to work with water pressure from a low of 20 psi, great for well systems, and works up to a high water pressure of 80 psi. 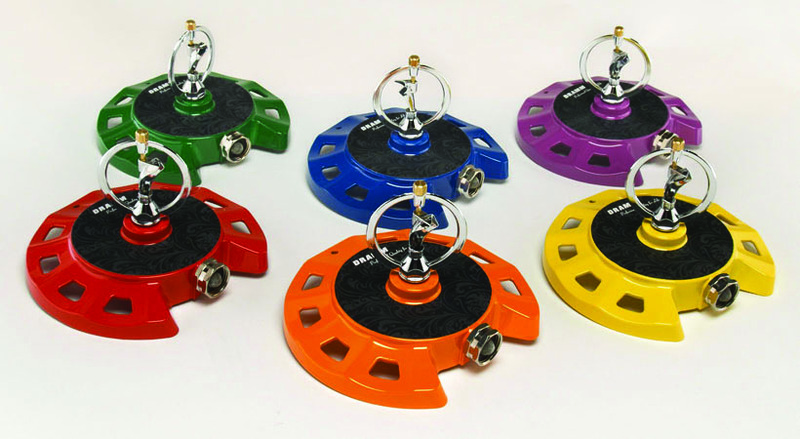 The new ColorStorm Spinning Sprinkler has a heavy-duty stationary base for stability, a molded hook for easy storage and is available in 6 vivid colors: red, orange, yellow, green, blue and berry. Dramm has been making professional watering tools for nurseries, greenhouse growers and avid gardeners for over 65 years. Dramm strives to produce products that save time and energy while providing quality products that last a lifetime. Visit us online at www.dramm.com and join our facebook page for more information.